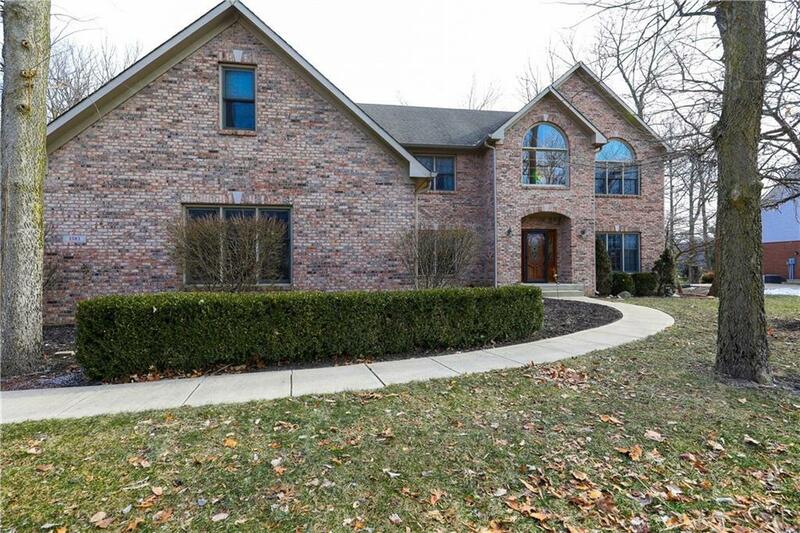 Beautiful Immaculate Custom Brick Home in Fox Cove! 5260 Sq. Ft., 2 story w/Full Finished Basement! Home features 18 ft. ceilings in Greatroom, Brick to ceiling gas fireplace , 9 ft ceilings on first flr, Bar in finished basement, screened sunporch & huge deck overlooks wooded with no neighbors behind you! Nicely appointed & sized laundry room makes the mundane chore a breeze! Updates include, Corian countertops in kitchen &baths, light fixtures, vanity in 1/2 bath, mirrors, refinished hardwood flrs in 2018 , carpets in greatroom, stairs & entire 2 floor, hot water heater 2015, HVAC less than 1 year old, master tub and tile, water softener 2017, kitchen appliances less than 2 years old. Epoxy garage floors. You won't be disappointed! !